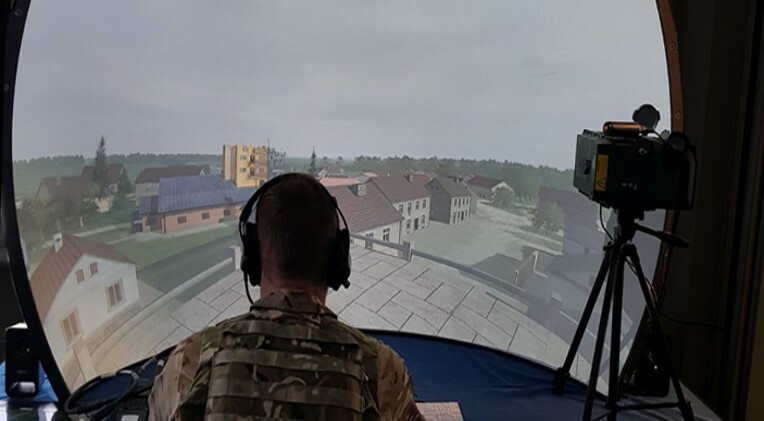 Highlighting the scalability and flexible configurations supported by SimCentric’s joint fires software, Nautilus International Risk Consultants have successfully delivered multiple iterations of remote, point of need JTAC and JFO training to the UK MOD and NATO coalition exercises through 2017 and 2018. This utilized a combination of deployable Type 2 accredited Cobra Dome trainers, and permanent Type 1 accredited dome trainers. Through this approach, ongoing cost and disruption is minimized as trainees could remain in home locations to conduct most currency training. These exercises incorporated currency controls, TACP signallers based in Operations rooms, permissive and non-permissive environments, multi-layered Restricted Operating Zones, Certified and Qualified (CQ) checks and infiltration and CASEVAC TTPs.